An iso image refers to a CD, DVD or Blu-ray image file with an extension of “.iso”, which is composed of the data contents of every written sector of an optical disc, including the optical disc file system. If you want to play Blu-ray iso file on your Mac OS X 10.8 Mountain Lion with the gorgeous LED-backlit 21.5-or 27-inch display or stunning Retina display, either iMac or MacBook, it will be not as simple as inserting a DVD into Mac and then waiting for Mac to play movies automatically. Mac Blu-ray player software is necessary. Mac Mountain Lion Blu-ray Player from UFUSoft, the perfect companion for Mac is a good choice to help you play and watch HD Blu-ray movies on Mac OS X 10.8 Mountain Lion, Mac OS X 10.7 Lion, Mac OS X 10.6 Snow Leopard, Mac OS X 10.6 Leopard, etc. Aside from Blu-ray iso image files, this UFUSoft Blu-ray player Mac Mountain Lion software can play Blu-ray disc and Blu-ray folder on Mac OS X 10.8 without any obstruction. You can also use this powerful media player software to play HD video files and music smoothly. 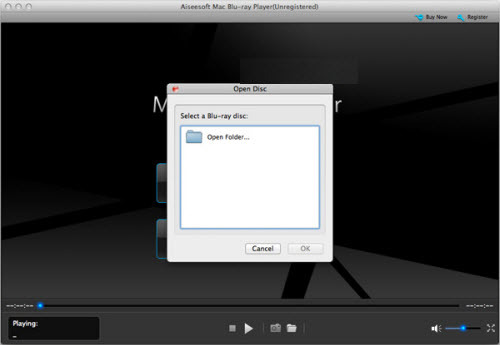 So how to play Blu-ray iso file on Mac OS X Mountain Lion? This tutorial will show you the detailed operation step by step. Step 1: Download and install Blu-ray Player software on Mac Mountain Lion. 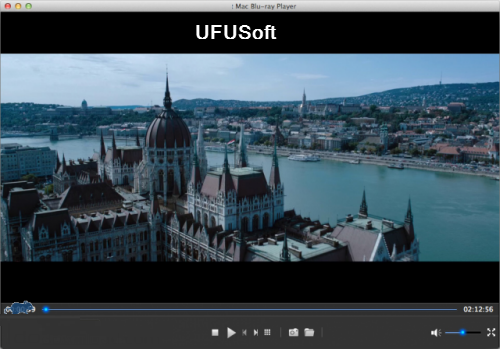 Download and install UFUSoft Blu-ray ISO player for Mac Mountain Lion. Run this Mac Mountain Lion Blu-ray player software. Double-click the Blu-ray iso image file you want to play, which will create a folder containing the iso file on your desktop. Click “Open Disc” to load the Blu-ray iso image file in the folder. After that, you will see a menu list containing Play Movie, Chapter, Audio, Subtitle and Other Titles. You can choose “Play Movie” to play the main movie directly on OS X 10.8 Mountain Lion.